Based on the information in John (Jan) Kortlever’s obituary, the family arrived in Lynden in about 1900.1 Both John and his son Hugo appear in the Bellingham City Directory (which included Whatcom County) in 1901 and 1902. His obituary further stated that the family had spent the four years previous to their arrival in Minnesota. I have not yet been able to locate the Kortlever family on the 1900 census. It is possible that they are on the move during the time of the June enumeration. Daughter Mary and the Burgraff family are in Nobles County, Minnesota, as are John’s brother’s Bastiaan and Peter Kortlever. Jennie – born 1892 Iowa – alive on 1910 census Lynden. The records are up on Genlias for the births of Jan and Maaike’s children and there are no other children listed in the Netherlands, although there is a gap between 1878 and 1882. There is also a gap between Maggie and Nellie in Iowa 1885 to 1890. Records in Iowa for the time period are pretty sketchy – anyone know of a family bible? 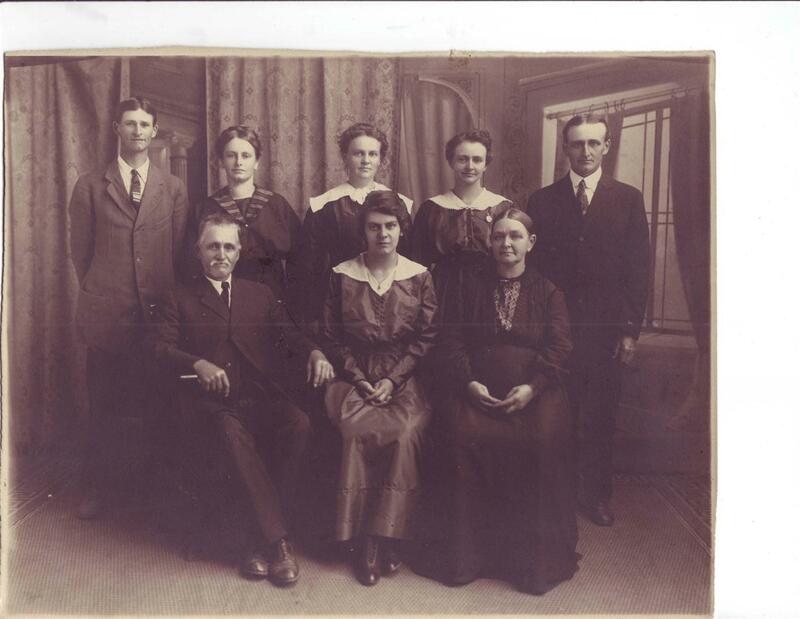 John and Maaike next appear on the 1920 census completed 7 January 1920 in Denver Colorado.3 They are there with their daughter Jennie and her husband Abraham Noteboom and Jennie’s child Cornelius Noteboom. They are in Denver because Jennie is desperately ill with pulmonary tuberculosis. The clear, dry air and higher altitude in Denver was a last hope for the family. The treatments did not help and Jennie was taken home to Lynden where she died later that year. 1. “Will Hold Kortlever Services Next Monday,” (Lynden) Lynden Tribune, Thur., 17 Aug 1922, p. 2. 2. 1910 U.S. census, Whatcom County, Washington population schedule, North Lynden, enumeration district (ED) 351, p. 5A, dwelling 87, family 87, John Kortlever, age 61; digital images, Ancestry (http://www.ancestry.com : accessed 10 Aug 2009); citing National Archives and Records Administration microfilm T624, roll 1674. 3. 1920 U.S. census, Denver County, Colorado population schedule, Denver, enumeration district (ED) 46, p. 6A, dwelling 130, family 135, John Kortlever, age 70; digital images, Ancestry (http://www.ancestry.com : accessed 10 Aug 2009); citing National Archives and Records Administration microfilm T625, roll 158.